The 2018 Absolut limited edition bottle is all about Love. But around the world, racism. sexism, homophobia and fear are on the rise. So we travelled to three continents, collected every hate sign possible and transported them to Spain, home to one of the only labs in the world that could extract the ink through a process called ‘Deinking’. And with that ink, brought it to the Absolute factory in Sweden, where it was used to print messages of love onto every bottle, and then sent to over 80 different countries with a brand new life. The launch film was directed by the wonderful Future Deluxe people. 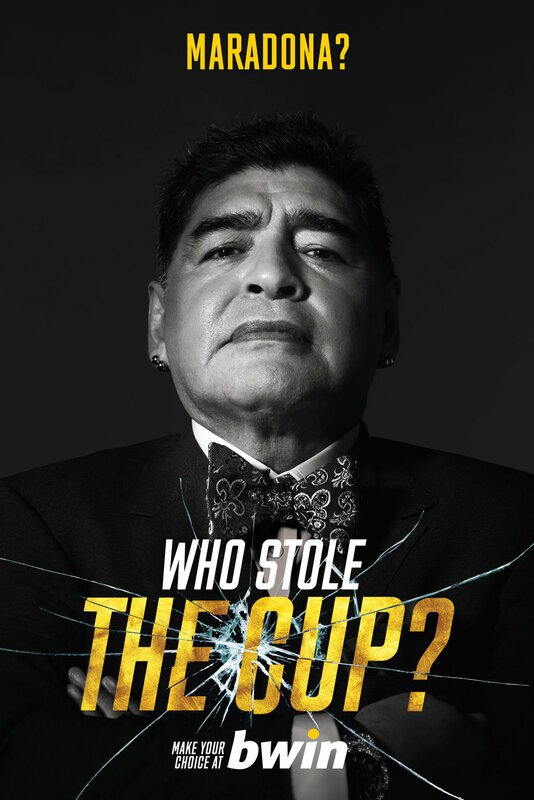 Directed by Pedro Martin-Calero, the ad stars football legends Cafu, Vicente del Bosque, Stefan Effenberg and Diego Maradona, plotting to steal the Cup. 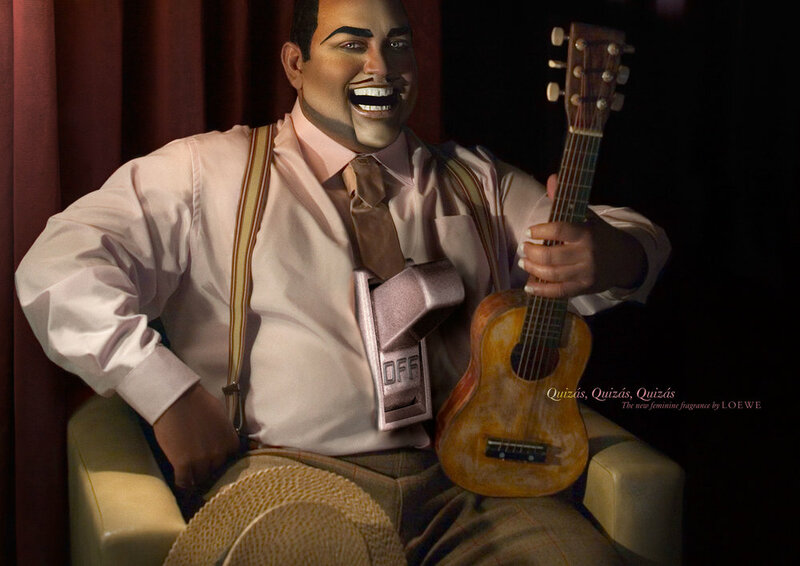 Shot in a cinematic style, the ad is a nod to the great Hollywood crime capers of the past.bwin has kicked off the campaign asking its customers to figure out which football legend committed the crime. Each of the football legend suspects, feature across all channels of the campaign from TV, out of home and online. From the teaser phase all the way through to the reveal of who the thief is, the audience will be left guessing. Take a look at a bottle of Absolut. The brand's conscience is clean like the spirit. And their company as transparent as the bottle. The secret behind creating a better Vodka is that they don't have any. Because they are the vodka with nothing to hide. We managed to get the CEO naked too. Absolut's ethos is about giving creativity the role to create a better, more open world. This brand has a rich history of partnerships with some the best artists of each generation, and our task is to bring new names on the art scene to tackle some of the biggest issues we face as a global society. Cancer was one of the leading causes of death in 2013, but we’re at a turning point. We were at the point where more people in the UK are surviving the disease than ever before and through fundraising we can bring forward the days when all cancers are cured. The show ‘Hunted’ is the first Real-life thriller in British television. 14 ordinary people on the run must evade detection from a team of expert hunters. 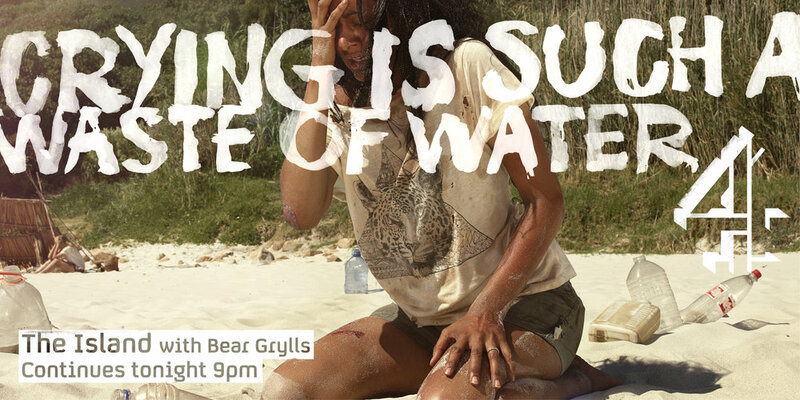 To promote the show we wanted people to feel the paranoia of being hunted. Using a massive mix of media we offered contextual tips to people should they ever wish to go on the run with each execution carefully tailored to its location. We were everywhere, so much space has been booked that the average Londoner will see the ads 33 times during the time of the campaign. The advert was directed by Alex Boutell. A year after the Paralympic Games, the athletes came back to London olympic stadium to beat their records in the Anniversary Games. Rubbing some salt into the wound, we made these three print ads to remember them that those records were already a bit old. No pressure. May 7th 2015. Election day in the UK. When young people tuned in E4 they didn't find the shows that they love. Instead, they found Darren. The mission was to make young people go out and vote, so we decided to stop being a excuse for them to stay at home. We shut down the Channel and put Darren there instead of our programming. For 12 hours. No ad breaks. The social response was amazing, and unexpectedly Darren became one of the most viewed broadcast in E4's history. Happily the young vote rose a 6% compared to the previous election. We're taking all the credit for that obviously. We still can't believe that the Channel let us do it. 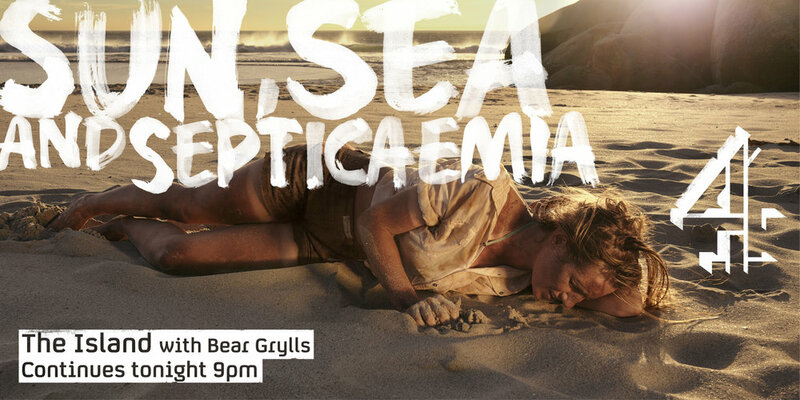 The Island with Bear Grills is quite an extreme show: no camera crew. No food. No water. Lots of diseases. These are some digital billboards we did to promote it, photographed by Jean-Yves Lemoigne through Making Pictures. To celebrate the 13th Street’s 10th anniversary we were asked to launch a campaign which would directly engage its regular viewers without excluding all the other action and suspense movie fans. 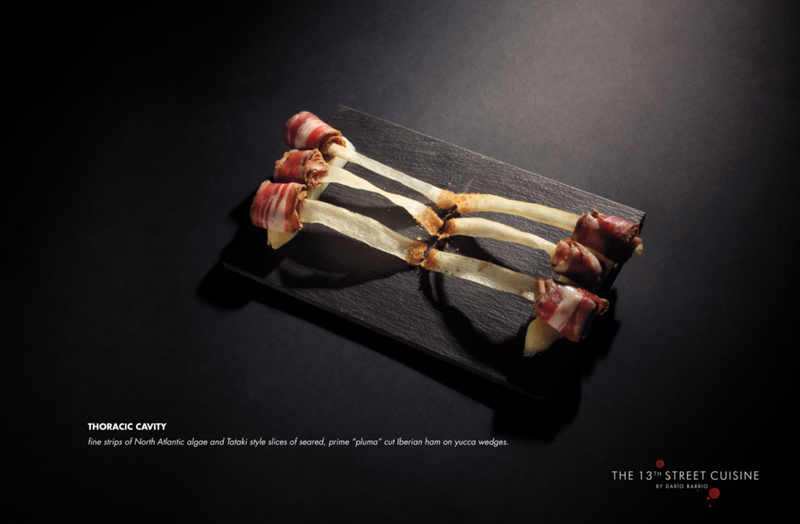 We created the 13th Street Cuisine, a pop-up restaurant featuring horror-themed dishes prepared by famous spanish chef Darío Barrio and the agency team. 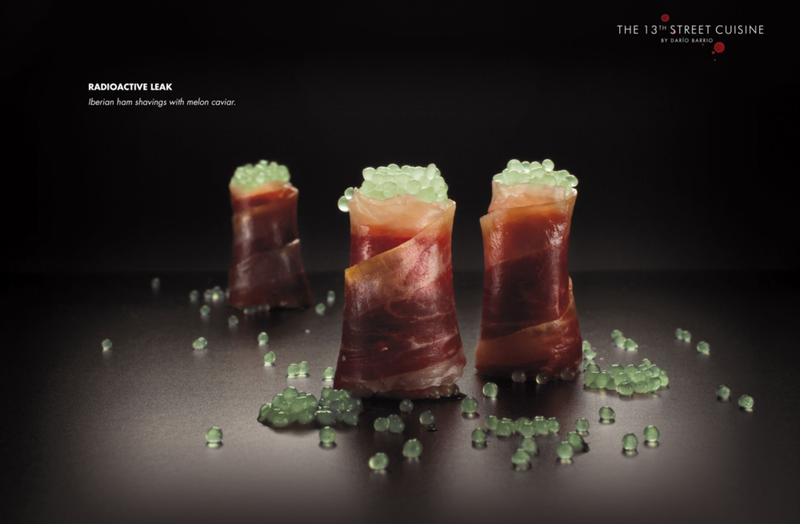 Francesc Guillamet brought his amazing craft to take the menu's stunning pictures. Every menu costs €50 and, amazingly, the restaurant was full throughout the two months it opened. Cervical cancer kills two women everyday in Spain (over 700 per year) and almost no one is aware of this. In December 2007, a vaccine was created to prevent it. For this reason, six scientific associations led by SEGO (Spanish Association of Gynecology and Obstetrics) came together to launch an awareness and prevention campaign. In search of a groundbreaking way to honor an important moment in history and make the news more viral than the virus itself, we decided to raise an actual monument in a public park and inscribe the names of the first 25,000 people who helped to virally spread the news using internet, online, buzz, mailings, ambient marketing, tv, prints, etc. Because the first vaccine against cancer should never be forgotten. Fifty thousand people participated spreading the news about the vaccine. The name of each one of them got engraved in the monument. 26 cities pitched to house the monument. Valencia was the winner, and the Turia Gardens park the place it was built. 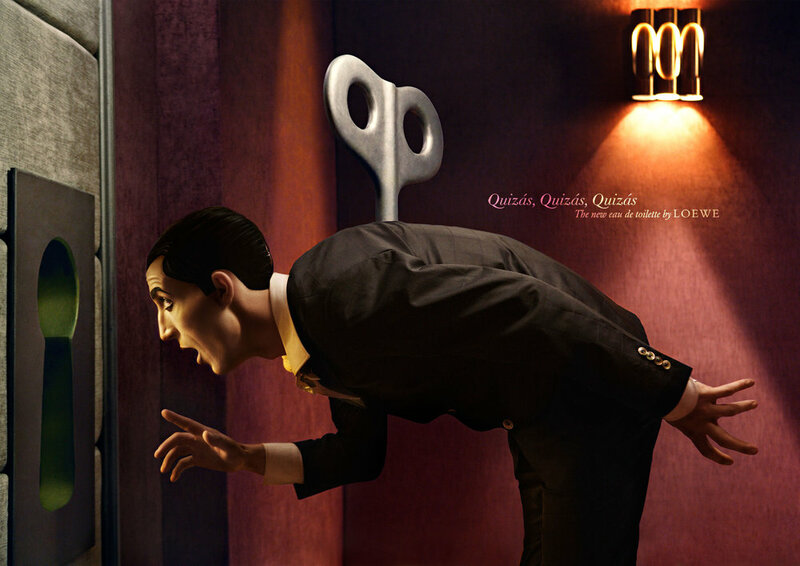 Worldwide launch of the new feminine fragrance 'Quizás, Quizás, Quizás' by Loewe, where we created a surreal, quirky world, where men are just toys for women. Pictures by Spanish photographer Eugenio Recuenco.